Hope everyone had a good week. Mine was laced with frustration of one kind or another ah but I survived so there's that! 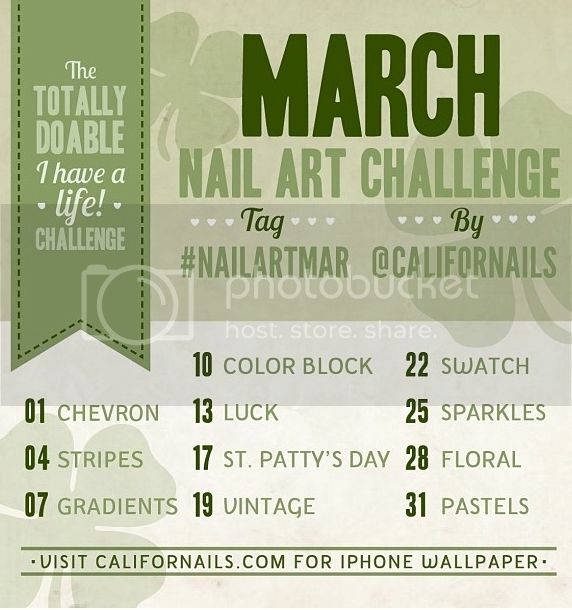 I decided to try out the monthly nail art Instagram challenge again. Lol February was an an unsuccessful venture as I did about 3 of the 15-20 challenges. I still need to share them here too. I'll post the challenges below so you can see what's coming up. This one for the 1st is already late but who cares when it's so pretty! 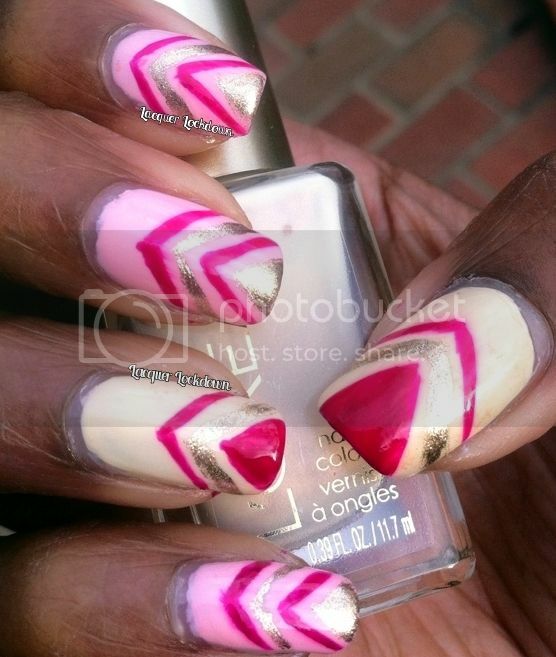 Anyhoo I'm using some polish selections from L'Oreal's Limited Edition Versailles Romance Spring 2013 Collection. I chose The Palace Life, a soft pink girly shade and Powder Puffs a very creamy yellow with a bit of pearl sheen in the base which is very difficult to discern. 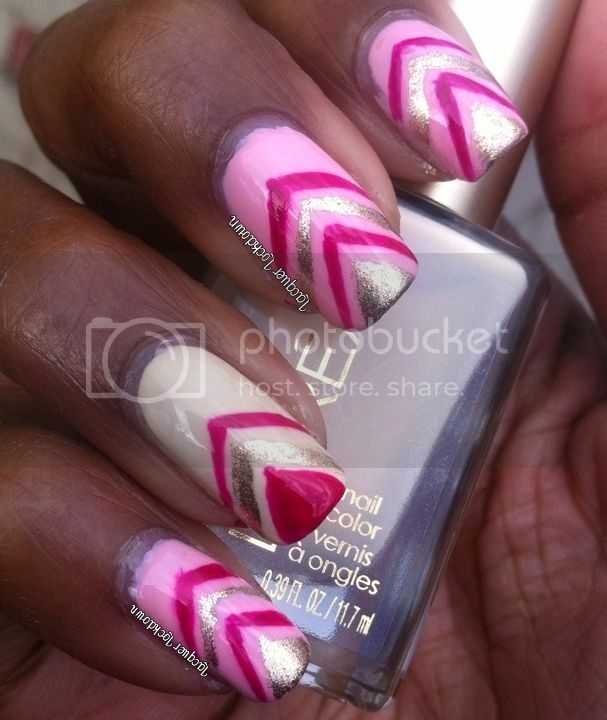 I have to say this collection is quite pretty. The colors are all very girly, light, and fluffy. In short perfect for spring! Thank you muffin! I don't know I think yellow based colors can always be tricky but maybe if you pair it with something else it will look flawless!